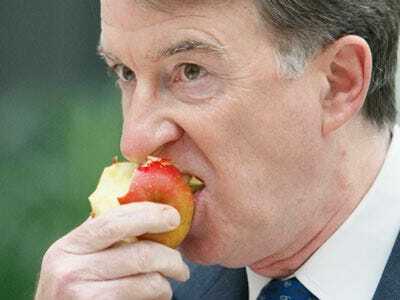 Peter Mandelson has blamed the fall out from Prudential’s proposed acquisition of AIG’s Asian arm for the currency wobble in the UK on Tuesday. The UK’s business secretary said on CNBC that HSBC moved along with the deal and sold pounds which devalued the currency, not the pre-election government instability some have suggested as the cause. 1:30 – Mandelson highlights that public spending cuts will hit economy this year. 2:00 – Mandelson blames HSBC and the AIG – Prudential deal for the pound ‘s plummet. 2:30 – Also highlights the possibility that its the chance of a Conservative win that might be scaring markets.